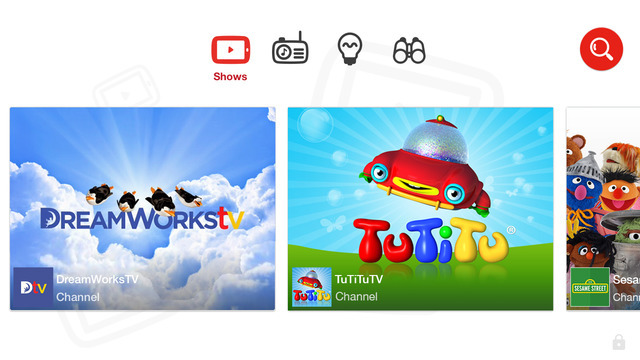 I cannot tell you how excited I am about the new YouTube Kids app that just launched today. Over the years, we’re continually asked how to find great videos for kids on YouTube by parents, and while we’ve shared various safer YouTube apps as well as our own favorite YouTube channels for kids and funny YouTube videos for kids (just to name a few), you can now find all of that good stuff in one handy place. Whoo! This new free app for Android and iOS users is designed specifically for kids to use themselves, not necessarily for parents to use and then hand off to their kids, which hey, I kind of like. So, there are big icons across the top making it easy for kids to navigate through pre-selected channels and playlists in four categories–shows, music, learning, and explore. 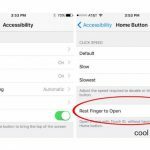 Kids can also just search for content by topic with the help of voice commands or if they’re old enough, typing in what they’re looking for in the search field, all of which is appropriate for kids. 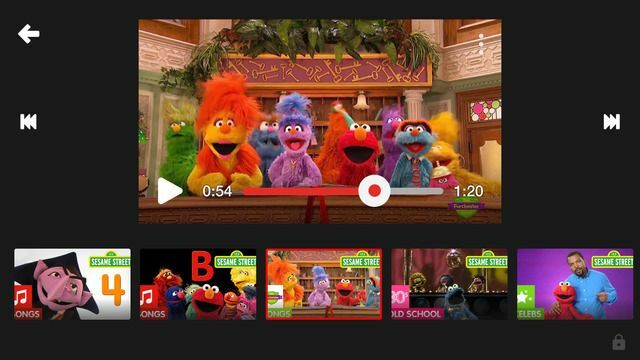 So no having to hide eyeballs while you jump to their favorite Sesame Street video, or worse, worrying what they’re going to see and click in the sidebar. And let’s not get started on all the awful YouTube comments. You won’t get any of that here. What you will find is tons of content from your kids’ favorites, like Reading Rainbow, National Geographic Kids, Talking Tom and Friends, Jim Henson TV, TED-Ed, and so much more, even stuff from favorite YouTubers like John and Hank Green of the Vlogbrothers and Stampylonghead. And wow, so much. They’ve really done a great job populating the app with great channels, many of which we’ve featured here on Cool Mom Tech, though I will say that for the shows, I feel it does skew a bit on the younger side; if you’ve got a tween who loves watching regular music videos, for example, they’ll probably be disappointed. 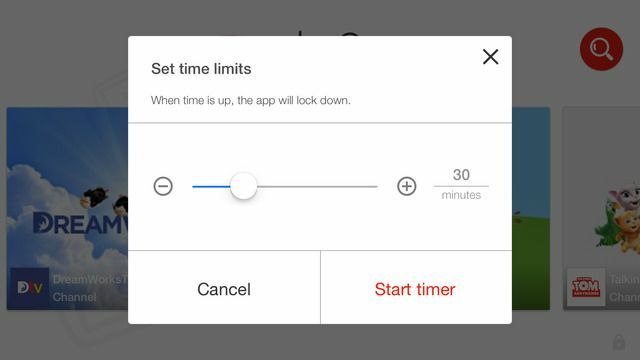 And take note parents: There are some helpful controls just for you, like a built-in timer that lets your child know when it’s time to turn off the tablet then requiring the password be entered in order for more viewing privileges. Plus you’ll find options to turn off the background music and sounds (trust me you will want to do this stat) and search, so you can just give your kids access to only pre-selected videos with your kids on the home screen. I have to say that after a quick look around, I’m pretty impressed with the amount of content they’ve got available right on the app and how easy it is to maneuver through, even on my iPhone. I’m thrilled to have this as an option for my younger kids, who, if like yours, think watching TV means watching YouTube. Welcome to 2015! You can download the new YouTube Kids app on iTunes for iOS users and on Google Play for Android users. Teens and tweens also need youtube protection from sexual and gory violent content. The kids youtube will be great, but I don’t see kids under 9 doing a search for R rated content. They won’t be little for long, and will want to see performing artists and videos that other older kids upload. If we can have a place or other vehicle for age appropriate viewing, we wouldn’t be so anxious about our tweens curious nature while exploring unsavory content mixed in with the good. Yes, this. We need a tween filter too and quite frankly I’d use it for myself to block violence and gore. And the comments. Can’t wait til choosing your own content will include this sort of personalization. Wish they had it for the Kindle Fire! Yes, does anyone know if there is a plan for it to be released on Kindle Fire? We’ll keep an eye out for you, but right now it’s not in the Kindle Store. I wonder when this app will be available in Canada?